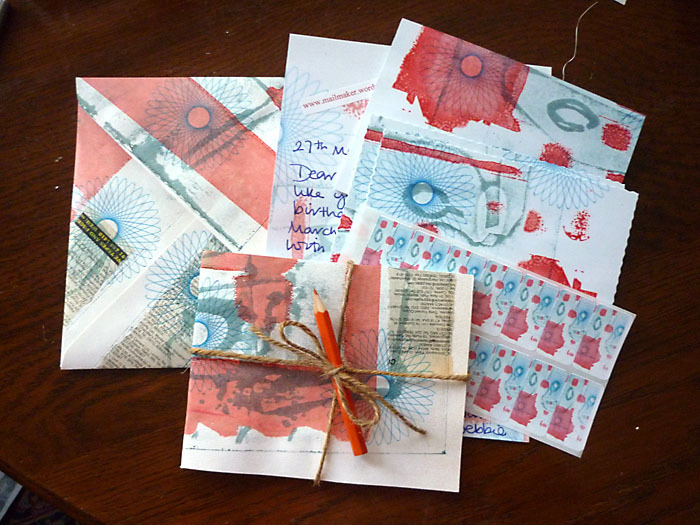 Sent out two lovely surprises yesterday to Suzanne in Germany and Lynn in the USA. 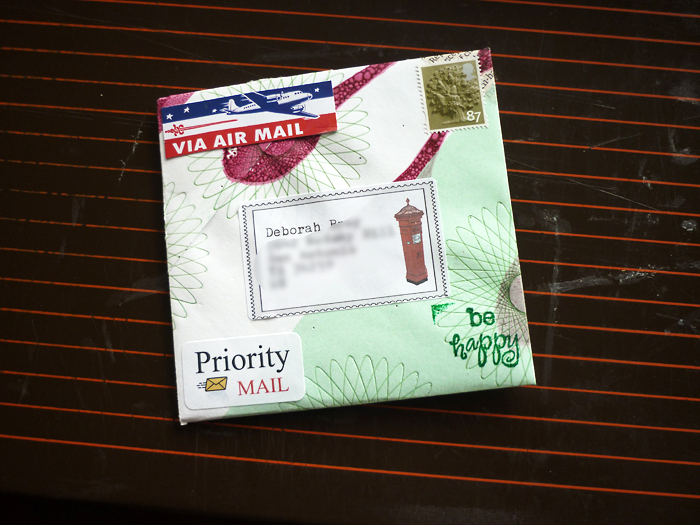 I’m loving sending out mail. 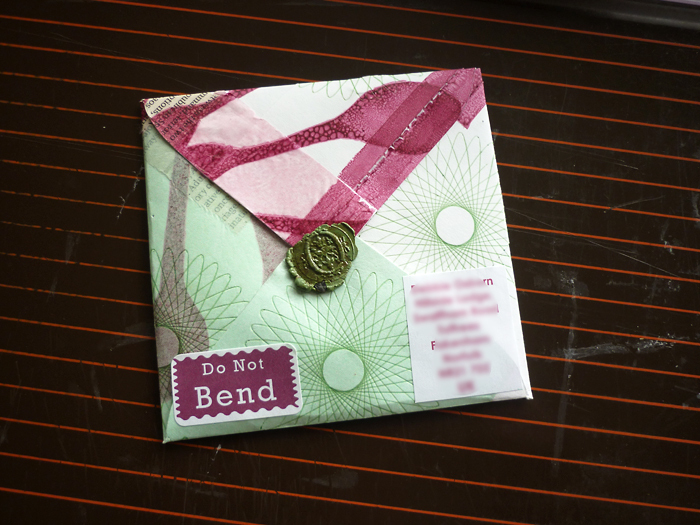 I’m going to have to limit myself soon to how much I send out! 🙂 Thanks you to all my follows and likers, it’s great to have your support. 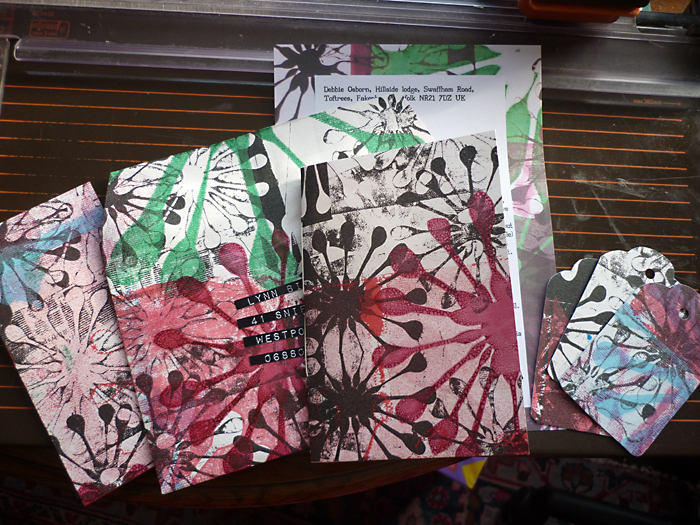 These two (the last now of this design) are going to my friend Gail in Hertford, UK who loves art and encouragement for Ann, a friend here in Fakenham, who is interested in Postcrossing and sending mail. 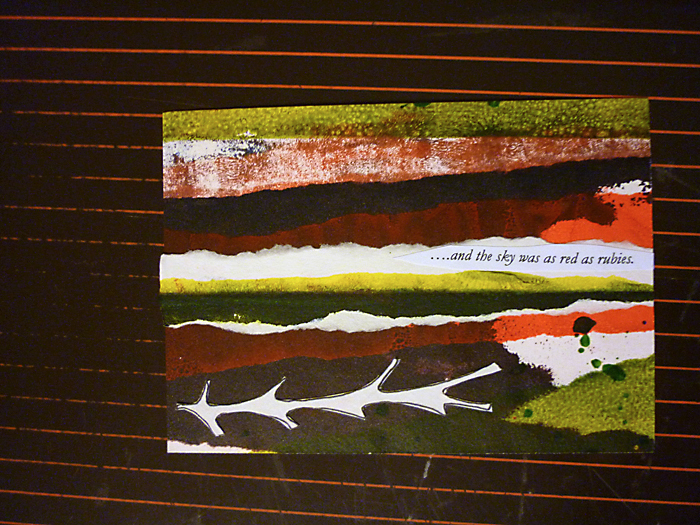 This print and collage card is for Tina in the USA. 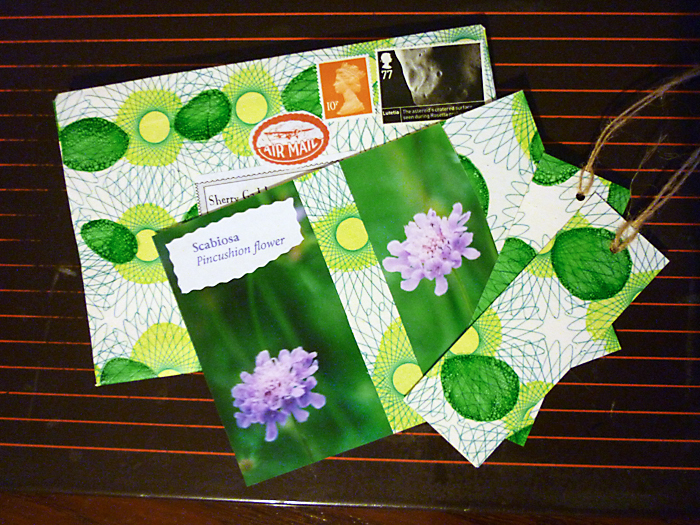 Finally here is some mail art I’m sending to Sherry in the USA, another new mail art buddy, Hurrah! 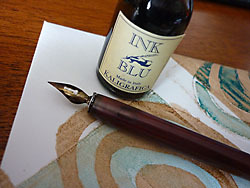 It is so enjoyable making them all and learning from other artists and bloggers. 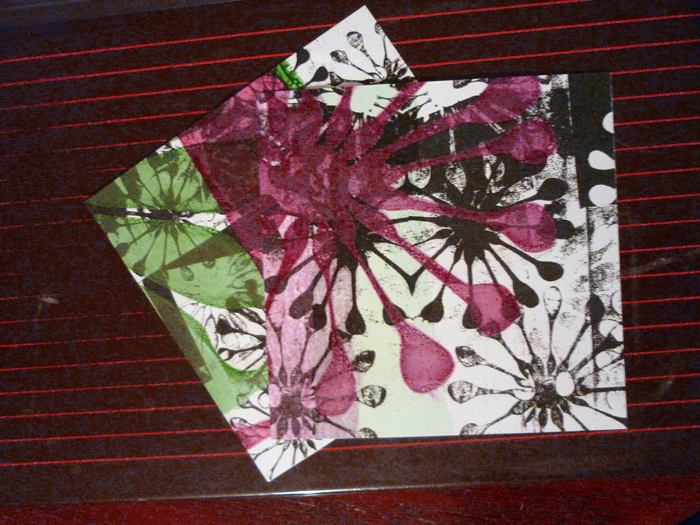 Another mail art envelope posted this morning, made from off cuts of my new whirligig prints. 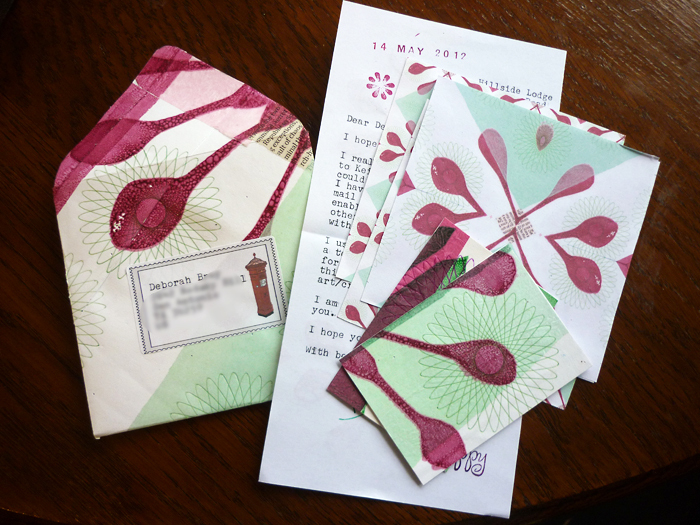 My letter along with some A.T.C.’s and some decorative papers are winging there way across the ocean to Deborah in the USA. 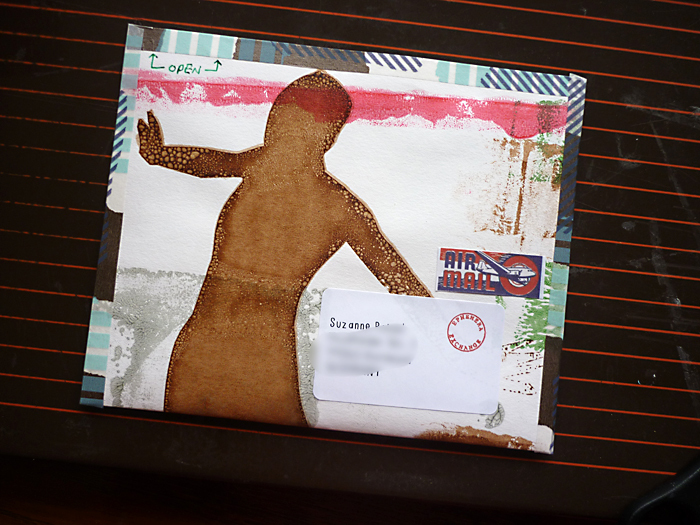 Sent out another piece of Mail Art today, to Pamela in the USA. 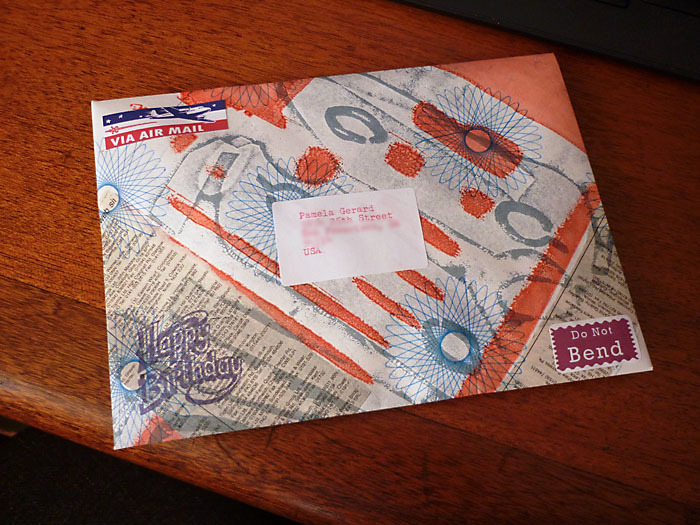 We are doing a Mail Art swap because we both have march birthday’s………..but any reason will do!